There are lots of things amid the sights and smells of an Asian food market that can surprise visitors from western countries. This particular specimen had already been killed, and was destined for the kebab skewer. The creature (figures D, E*, F), a rodent dubbed Laonastes aenigmamus or stone-dwelling puzzle-mouse, looks like something in between a squirrel and a large rat. Not only was it a completely unknown species,2 but sufficiently different from other mammals that it was given its own family, the Laonastidae—the first mammal family to be created since 1974 (following the discovery of the bumblebee bat). But just 10 months later, some people were about to get another big surprise. 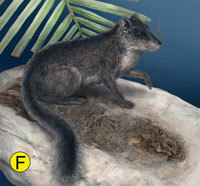 ‘Hence,’ says Science, ‘Laonastes “resurrects” a clade of mammals that was formerly thought to have been extinct for more than 10 million years.’ In fact, according to Dr Mary Dawson and her paleontologist colleagues who published their detailed analysis in that issue of Science,4 the Diatomyidae were believed to have been extinct for more than 11 million years. In their own words: ‘Laonastes is a particularly striking example of the “Lazarus effect” in Recent mammals … ’. By this they mean the ‘reappearance’ of an ‘extinct’ group of organisms after ‘a lengthy hiatus [gap] in the fossil record’. But wait a minute—just what is the cause of the ‘Lazarus effect’? Surely paleontologists (many of whom do not accept biblical creation) aren’t thinking that the same One who raised Lazarus from the dead after four days in the tomb (John 11:1–12:11) also raised Laonastes from the dead after 11 million years? But this is not something that you’ll read in New Scientist or Science. But that ‘explanation’ looks increasingly lame when one considers (as the paleontologists said) that Laonastes is ‘a striking example’ of the ‘Lazarus effect’, which means it is not unique. There are many other organisms which, according to ‘a lengthy hiatus in the fossil record’, ought to have long been extinct, and yet are found to be living today. 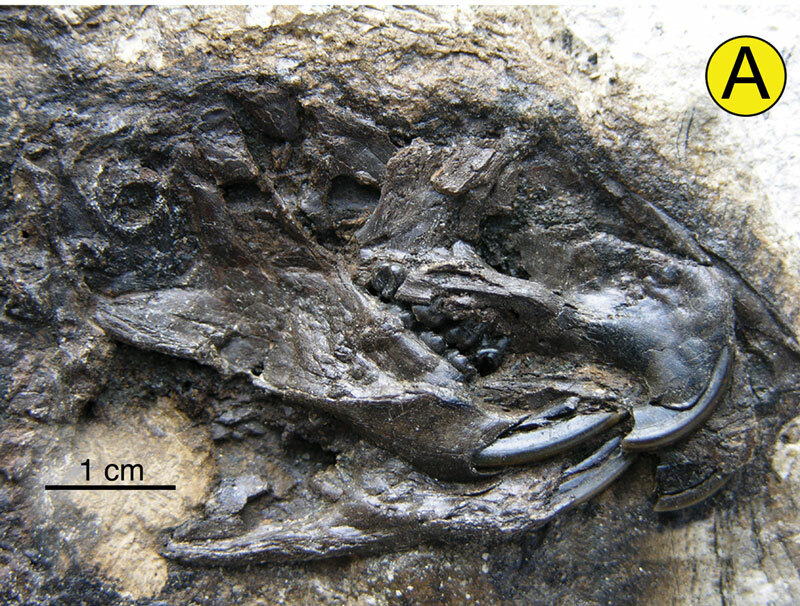 So notorious has the coelacanth become that Dr Mary Dawson described Laonastes as ‘the coelacanth of rodents’.7 Interestingly, years after the coelacanth was found off Madagascar, it was also unexpectedly ‘discovered’ in south-east Asia in a similar manner to Laonastes. A marine biologist from America was wandering through a fish market in Manado, Indonesia, and recognised a coelacanth on a fishmonger’s cart.8 Reporting the find, Nature journal published a photo of Indonesian fishermen with a live coelacanth.9 For a fish that had supposedly been extinct for 65 million years, you can’t get much fresher than that. The coelacanth and Laonastes are not the only ‘Lazarus’ organisms living today. The rare South American opossum-like marsupial Dromiciops gliroides (known locally as ‘Monito del Monte’) is a member of a ‘clade’ (Microbiotheria) earlier thought to have become extinct more than ten million years ago.10,11,12 And the fossil ant Gracilidris, thought to have died out 15–20 million years ago, has recently turned up alive and well in Paraguay, Brazil and Argentina.13,14 These and the hundreds of other known examples of ‘living fossils’ (e.g. tuatara,15 salamander,16 horseshoe crab,17,18 and the Wollemi pine19,20) prompt the question: why is there no ‘record’ of them leaving any fossils for all those ‘millions of years’? The answer: there never were any ‘millions of years’. You can’t get a historical record by looking at rocks; you need an actual historical record—an eyewitness account of history. The Bible claims to be just such an account—from the very beginning of time. Does it tell us of something that happened in history which might explain the ‘Lazarus effect’? 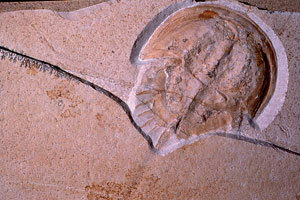 Fossil Limulus from Solnhofen limestone—Upper Jurassic (supposedly about 140 million years old). A serious challenge to evolution. 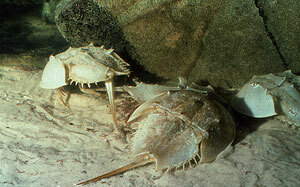 Living horseshoe crabs, Limulus polyphemus. 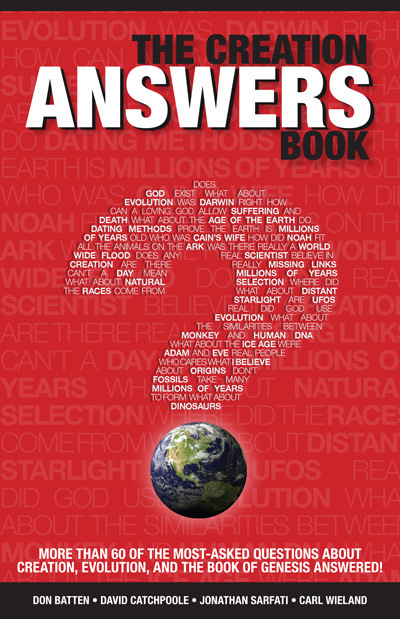 According to a straightforward reading of the Bible, ‘the heavens, the earth, the sea and all that is in them’ (Exodus 20:11) were created around 6,000 years ago (not millions or billions of years). But today’s world is no longer the ‘very good’ world (Genesis 1:31) that God made. Since then, sin and death have entered (Genesis 2:17; 3:6–19; Romans 8:19–22) and there’s been a major event that catastrophically rearranged the earth’s geography, topography and geology—a global Flood (Genesis 6–9), around 4,500 years ago. This beautifully explains why we find, across vast areas throughout the world, sedimentary rock layers obviously laid down in rapid succession, containing lots of plant and animal fossils. Many of these fossils are so well-preserved they must have been covered quickly. So the ‘fossil record’ is mostly a legacy of the global Flood of just a few thousand years ago, reflecting the order of burial in that event. It is not a ‘record’ of the order of evolution (‘appearance’) over millions or billions of years. But this is not something that you’ll read in New Scientist or Science. The Bible gives us more than a clue as to why. It tells us that ‘you must understand that in the last days scoffers will come’ who ‘deliberately forget that long ago by God’s word the heavens existed and the earth was formed out of water and by water. By these waters also the world of that time was deluged and destroyed’ (2 Peter 3:3–6). Deluged and destroyed. And because many scientists either don’t know or ‘deliberately forget’ this, they wrongly interpret the absence of particular organisms across multiple layers of sedimentary rock as being ‘a lengthy hiatus’ across millions of years. 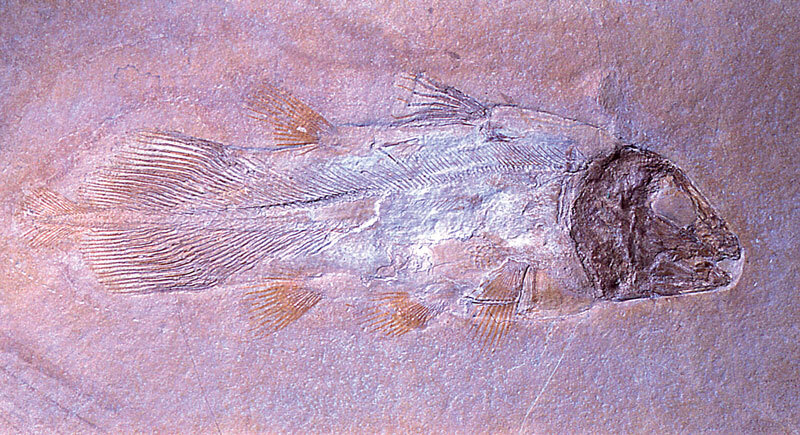 And that wrong interpretation of the ‘fossil record’ means people didn’t expect to find living today a coelacanth or a Wollemi pine that had only been known from fossils supposedly ‘millions of years’ old. Hence their surprise when such ‘living fossils’ turn up. So when Robert Timmins and his team encountered Laonastes, who could blame them for assuming it was something new. There is no ‘Lazarus effect’ spanning millions of years. But Laonastes wasn’t new, and nor were its fossils more than 11 million years old. There is no ‘Lazarus effect’ spanning millions of years. These ‘living fossil’ creatures have been here all along, reproducing ‘after their kind’ both before and after the Flood, just as the One who created them around 6,000 years ago intended. This is the same One who raised the real Lazarus from the dead; and the same One who, being Creator, had the power to take up His own life after He’d been put to death on a timber cross. This is the One who was really resurrected; in fact the One who is the Resurrection—our Lord and Saviour, Jesus Christ.21 Beware of imitations! 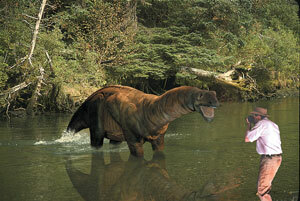 Composition by Steve Cardno, photo of dinosaur model by Allen Browne. The ‘surprise’ discovery in an Asian market of the kha-nyou that lives on isolated rocky outcrops, raises the question of how many other ‘hidden animals’—e.g. dinosaurs—might still be living in the rainforests and swamps of Asia, the Congo and elsewhere. (Many people don’t realize that most dinosaurs were smaller than a sheep.) As happened with the coelacanth, evolutionists would be very surprised at the discovery of a dino ‘living fossil’, previously thought to be extinct for millions of years. But it would be no surprise to creationists, who know from the Bible that the universe is only around 6,000 years old anyway, and that all the different kinds of land animals and birds—including dinosaurs—moved out from the Ark and inhabited the earth around 4,500 years ago. Pickrell, J., Kebab meat rodent gives birth to new family, New Scientist 186(2500):18, 2005. Return to text. The locals have known it simply as kha-nyou, or ‘rock rat’. Timmins and his team later collected additional specimens by trapping the animal on rocky limestone outcrops in and around the Khammouan National Biodiversity Conservation Area in central Laos. But they have not yet seen it alive. Return to text. Hurtley, S. and Szuromi, P., Rodent resurrection, Science 311(5766):1341, 2006. Return to text. Dawson, M.R., Marivaux, L., Li, C.-k., Beard, K.C. 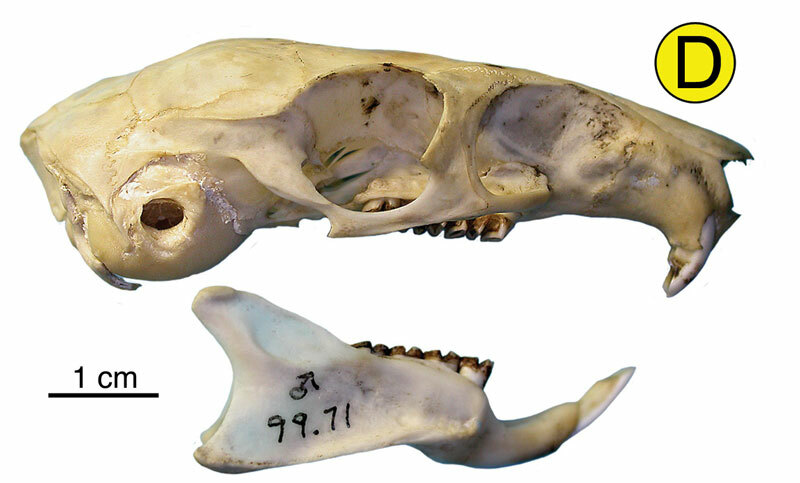 and Metais, G., Laonastes and the “Lazarus effect” in Recent mammals, Science 311(5766):1456–1458, 2006. Return to text. Fara, E., What are Lazarus taxa?, Geological Journal 36:291–303, 2001. Return to text. Doolan, R., The fish that got away … for 70 million years? Creation 9(2):8–11, 1987. Return to text. Carnegie Museum of Natural History Press Release, New family of mammal really living fossil—Rodent found in Laos in 2005 really surviving member of a thought-to-be-extinct rodent family, <www.carnegiemnh.org/news/06-jan-mar/030906laonastes.htm>, 24 April 2006. Return to text. Living fossil fish turns up—again, Creation 21(2):8, 1999, <www.creationon theweb.com/indocoel>. Return to text. Erdmann, M.V., Caldwell, R.L. and Moosa, M.K., Indonesian ‘king of the sea’ discovered, Nature 395(6700):335, 1998. Return to text. 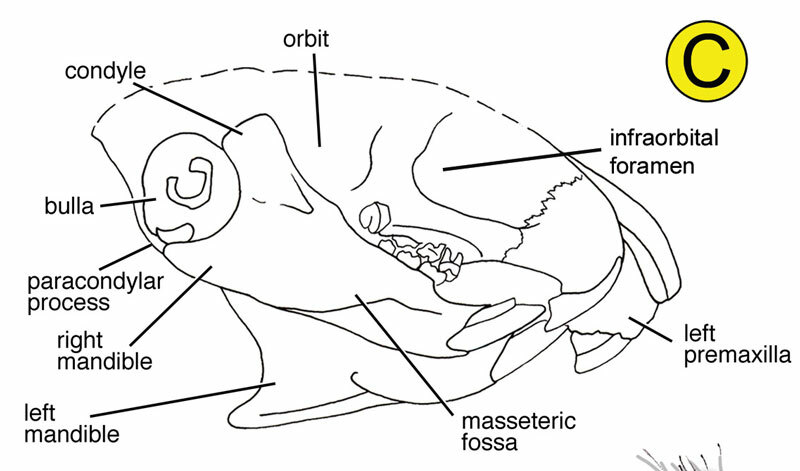 Patterson, B., Pascual, R., Evolution of mammals on southern continents: V. The fossil mammal fauna of South America, The Quarterly Review of Biology 43(4): 409–451, 1968. Return to text. Lobos, G., Charrier, A., Carrasco, G. and Palma, R., Presence of Dromiciops gliroides (Microbiotheria: Microbiotheriidae) in the deciduous forests of central Chile, Mammalian Biology—Zeitschrift fur Saugetierkunde 70(6):376–380, 2005. Return to text. Bozinovic, F., Ruiz, G. and Rosenmann, M., Energetics and torpor of a South American ‘living fossil’, the microbiotheriid Dromiciops gliroides, Journal of Comparative Physiology B 174(4):293–297, 2004. Return to text. Wild, A.L. and Cuezzo, F., Rediscovery of a fossil dolichoderine ant lineage (Hymenoptera: Formicidae: Dolichoderinae) and a description of a new genus from South America, Zootaxa 1142:57–68, 8 March 2006. Return to text. Catchpoole, D., Fossil ant found alive! Creation 28(4):56, 2006. Return to text. Helder, M., Tantalizing tuatara, Creation 13(3):24–27, 1991, <www.creationon theweb.com/tuatara>. Return to text. Catchpoole, D., Salamanders are ‘living fossils’! Creation 26(2):26–27, 2004, <www.creation.com/sala>. Return to text. Catchpoole, D., ‘Living fossils’ enigma, Creation 22(2):56, 2000, <www.creation.com/enigma>. Return to text. Walker, T., Death march—Horseshoe crab stopped dead in its tracks, Creation 25(2):54–55, 2003, <www.creation.com/march>. Return to text. Sensational Australian tree … like ‘finding a live dinosaur’, Creation 17(2):13, 1995, <www.creation.com/woll>. Return to text. ‘Dino tree’ goes on sale, Creation 28(1):11, 2005. Return to text. This paragraph is drawn from various passages in the Bible, including: Deuteronomy 6:4, Mark 12:29, John 1:1–3, Colossians 1:13–23, John 10:17–18, Matthew 28:6, John 11:25, Isaiah 43:11, Titus 2:11–14. Return to text. 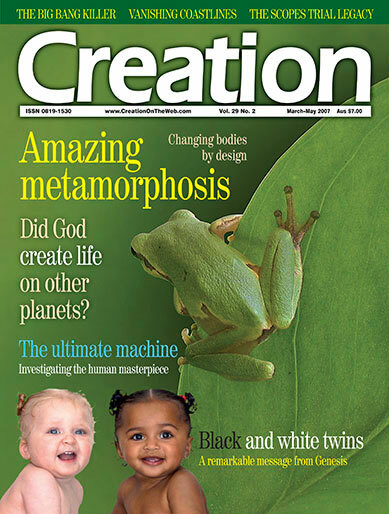 * Viewable in the original Creation article. Return to text.